RC Formula1 organised a Setup Workshop at TFTR. 13 drivers came out for a fun afternoon of wrenching on our F1 cars, swapping setup tips, and learning from each other. The objective was to assist every person that attended to finish the day with a very driveable car capable of racing. And to prove it we had a race! It was amazing to see 13 F1's all on the track at the same time and thanks also to the volunteer marshals! Thanks to the TFTR club for giving permission to run the workshop at their great track. The next F1 Workshop will be run at the Mornington Peninsula Club on Sun 29 July. 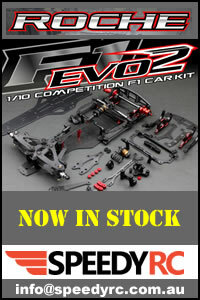 If you would like RC Formula1's assistance to run your own F1 workshop then check out our Promoting F1 page for ideas.